Thanks to Oxygen Beauty Spa for sponsoring this post. As always, all opinions in the post are my own. Things have been a lot quiet around here lately - maybe I hit the snooze button for too long after I soaked myself in the Oxygen Beauty Spa or maybe I was going crazy trying to get the biggest pending house project done, you will never know (or maybe you will, head over to my Insta to find out). The last time I went to a spa was when I was 40 weeks pregnant and that seems like such a long time ago (even though it’s only been 6 months). I have always wondered how amazing it would be to have my own spa at home where I could just jump in and relax, even if it’s for just 10 mins (I mean who has the time to make an appointment and go to a spa, not this new momma for sure). And when someone actually heard my prayers and told me, yes, there is such a thing as home-spa, I was so thrilled to take a look and try it out myself (yup, sign me up for anything health and wellness, always!). 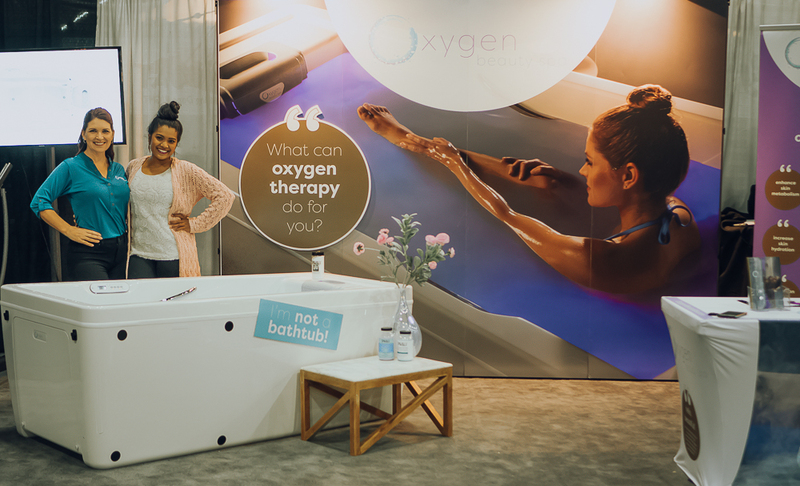 A few weeks ago I gave you guys a sneak peek on Facebook - I was headed to Portland (our second home in the PNW) to soak myself in a Oxygen Beauty Spa at the Home Expo! 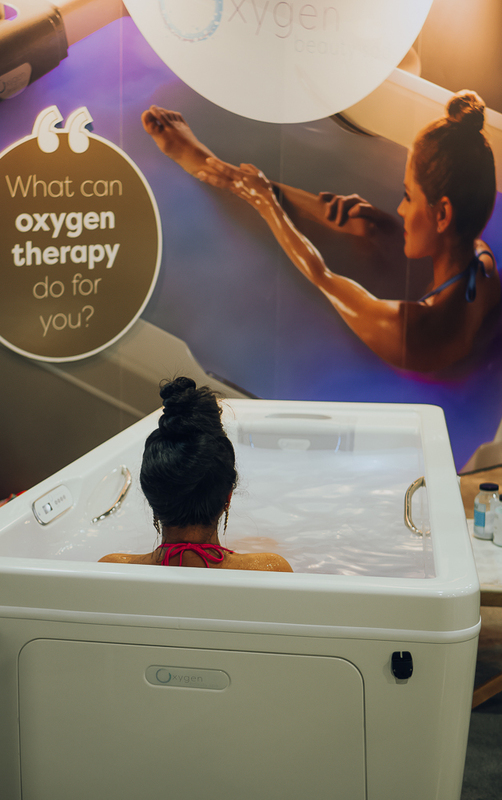 I thoroughly enjoyed my first Oxygen Spa experience and might I also add, quite shamelessly even, as everyone passing by the booth at the expo couldn’t stop staring and commenting that they first thought I was a mannequin (when I was in that zen mode, eyes closed, calm face and all) or a model (I will gladly take the compliment), LOL. I spent more than 40mins at what was supposed to be a 20mins sesh, I mean, who would ever want to get out of what feels oh-so-relaxing-while-floating-in-the-clouds (or immersed in milk, whichever way you imagine it). The only thing missing was some wine in hand and some calming music in the background, haha! We all know that Oxygen (O2) is the most essential thing for survival, it also has a great number of skin and health benefits, and any treatment which ensures your body gets enough O2 is already a winner in my eyes. Apparently, soaking in a cloud of oxygenated water releases skin impurities into the water rather than forcing elements into the skin to make it softer. 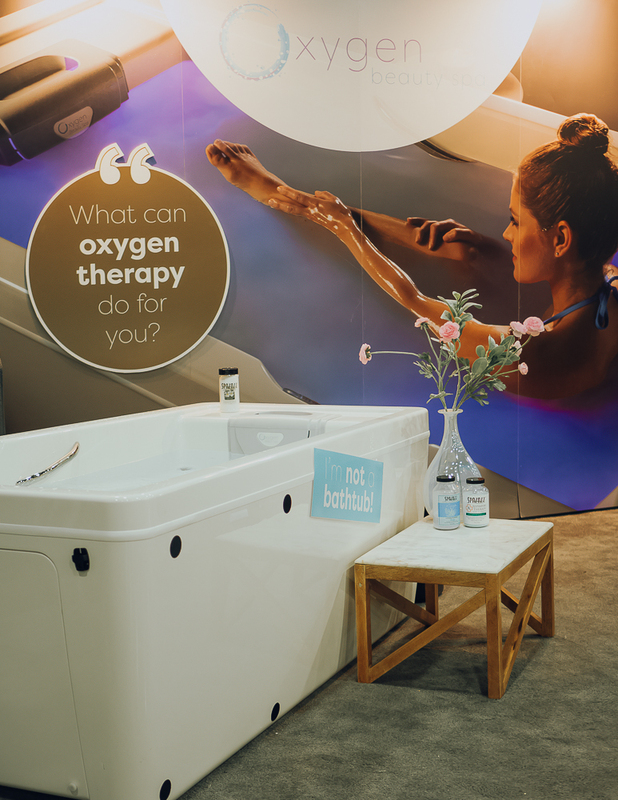 The Oxygen Beauty Spa treatment seems to be a very simple and natural way for allowing your skin to breathe and rejuvenate from deep within and throughout the layers of skin. Unlike other topical treatments which take about 4 to 6 weeks to show results, I was able to see the difference from just that one soak. Given that I have extremely dry and flaky skin (especially my legs) my skin felt super soft, hydrated and supple, and it didn’t feel all wrinkly even after being in the water for 40mins . Such are the benefits of Oxygen Therapy & the Oxygen Cloud Treatment. The only drawback was that my skin went back to looking dry again after a few hours, but I am sure with continued or regular Oxygen Beauty Spa use my skin might become baby soft again. Me (all excited before jumping in) with Shawn Brogan-Diddy! Thank you for having me to try this wonderful Oxygen Beauty Spa! 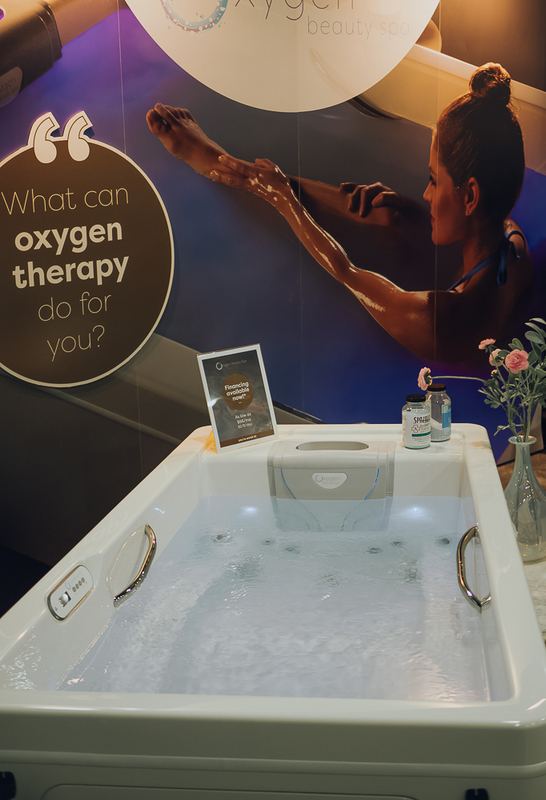 The Oxygen Beauty Spa has definitely made the list of never-ending house projects I have got going. And if my Santa Claus is listening, this is exactly what I want for Christmas! Wouldn’t this make for a great gift, especially in this freezing cold weather (it even snowed here, 2 days this past weekend :-o). If this has gotten you all excited too, then head over to OxygenBeautySpa.com for more details, or even order one for your home!